The content below is no longer current and may not be applicable or relevant. Until the 29th of March 2019, Yokogawa are offering 50% off the price of any vehicle serial bus analysis option when purchased with a new DLM3000 series oscilloscope. 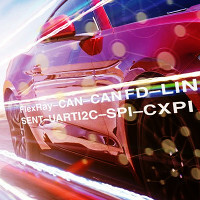 The DLM3000 is able to simultaneously analyze up to four different buses operating at different speeds and supports FlexRay, CAN, CAN FD, LIN, SENT, UART, I2C, SPI and CXPI. In addition, the auto-setup function inspects the bus signal and automatically sets the appropriate trigger, bit rate and decoding settings. Contact Us or Call 01480 412451 to find out more, or visit the DLM3000 product page, linked to below, where the datasheet is available.